Word of mouth is an incredibly important tool for drumming up business as a wedding photographer, but at some point, you might need to look beyond personal recommendations and instead, look at how to build an email list to grow you business. When marketing your business, one of the most effective ways to go about acquiring, developing and keeping clients is an email list. Your most valuable digital marketing resource is going to be your newsletter or email list for two reasons. For one, it’s a direct communication channel between you and your customers. And two, those who have signed up to your list are probably considered warm leads. This means they are probably already fairly interested in you as a photographer. So now it’s your task to nurture those leads into paying customers. Your email list is also the best way of communicating with previous clients, which can be a powerful way of securing repeat clients or setting up a referrals scheme. Building an email list from scratch can, however, be daunting. 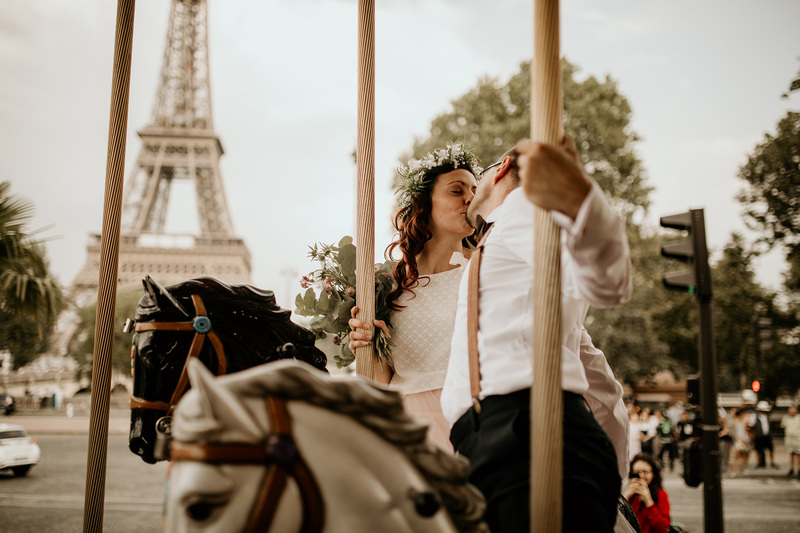 Thankfully, wedding photographers have a lot to offer potential subscribers, and there are a number of things you can do right away to get your list up and running. Take a look at our tips below! Website pop-ups can be a nuisance, and nowadays it can feel like you have to wade through an eternity of cookie notices and pop-up ads just to get to the good stuff you want to read. However, done right, carefully constructed and targeted pop-ups can be a great way to grab people’s attention. The key to effective pop-ups is a combination of specific content and timing. Once a visitor has spent a certain amount of time on a specific page, you can offer them something relevant to what they’ve been browsing. This could be when they move their cursor to exit the page, or after scrolling through a certain percentage. These are called exit intent popups, and work to convert your visitors into subscribers before they exit the page by offering something valuable. This could be a discount promotion or other exclusive content (eBooks work really well for this!). Our favorite exit intent tools are OptinMonster (best if you want to offer a promo code) and NinjaPopups (best if you want a super flexible tool). The combination of time spent on the page, and a targeted offer (content about overseas weddings, advice on planning wedding shoots and so on) means these pop-ups are genuinely valuable, and more likely to result in sign-ups to your list! Putting your personality into your brand, your website, your social media feeds…in fact everything you do, is essential when your business is effectively all about you. As a photographer you are selling yourself as much as you are selling your work, so giving people an idea of what you are like before they hire you is key to gaining clients. This approach works just as well when encouraging people to sign up to your lists. Inject a little humor into your pop-ups. For example – instead of having button on your page that simply says, “sign up”, you could instead write something a little more humorous and cheekier (if that fits your brand, of course). We recently saw a portfolio that replaced “sign up” for “Beam Me Up Scotty”, and loved how it subtly told you as much about the photographer as it did about how to get on their email list. If nothing else, it’s a way to set you apart from the crowd. As a wedding photographer you’ll be well aware of the power of social media and its value to your business. It’s a great way to encourage sign-ups to your email list, too. Your social media reach is likely to be (for now) far larger than your email list. Reach out and encourage people to sign up who already follow you and like what you have to say. Maybe even offer them teasers of the kind of content they’ll receive in emails that you don’t share on social media! An easy way to integrate email signups into your instagram setup is by using a combination of Mailchimp and Linktree. Start by creating a Mailchimp newsletter sign up form. You can then share a link to this form using these simple instructions. Once you have that link active, you can add it to your instagram bio using Linktree, which allows you to add multiple links to your bio. It is also worth including a link to sign up in your email signature itself. In the course of your business you’ll send loads of emails to clients, collaborators, and others who might be interested in hearing more from you, so make it easy for them to join your list, too! Audience research, and understanding who you are speaking to, is one of the most useful elements of online (and offline) marketing. Email marketing is no exception. Knowing who you are targeting and where they hang out makes it that much easier to create killer content that will appeal to them. AND to get your offer to where they are most likely to see it (and click!). Building a persona of your ideal client couple and establishing your perfect job and location will help you pitch your newsletters to the right audience in the right way. Need a hand with this? Here’s a comprehensive guide on how to create user personas. Of course, you need to give people a reason to hand over their email addresses, so what you are offering in your newsletter needs to be enticing. This could be anything from exclusive content, amazing inspirational photos, discounts… whatever it is, make sure it appeals to your would-be subscribers, and is tailored to their needs. It often helps to have a dedicated page on your site that’s exclusively there to ‘sell’ your newsletter. On this page clear on what the benefit of signing up is. Go into exciting and enticing detail on what your users will receive in exchange for their email address. There are some psychological hacks that you can use to nudge your users to sign up on this page. This is known as behavioral economics, and it’s being used across almost every type of marketing nowadays. Here’s a roundup of 6 behavioral marketing theories that you could consider implementing into your newsletter sign up page to get you started. Now, we’re not suggesting you populate your email lists with your current contact book (for one thing there’s a ton of regulations you’d be breaking!). But getting in touch with previous clients and any other networks who might be interested in hearing from you more regularly can be incredibly useful. Plenty of people will be happy to sign up to something if you give them the chance, and as with your social media, these guys will already know what you are all about and want to support you! Getting your email list into great shape shouldn’t be a tough ask and can work wonders for your business by super-charging your digital marketing efforts. If you are interested in exploring digital marketing for wedding photographers a bit further, take a look at this blog on hacks for boosting your engagement on Facebook!